As part of this Spiritual battle we are in, we Christians, sometimes forget who we are and who we are to be! 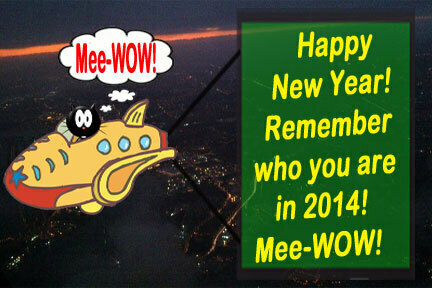 So what should we remember about ourselves, as Christians, if we are one? Play or download the video below to hear Alphy the WOWChurch cat explain more and how this affects you as a Christian in the 2014! 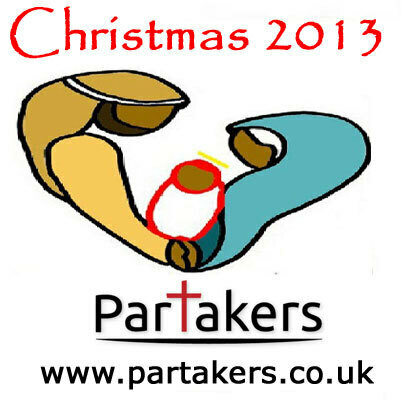 Welcome to Partakers Christmas service for 2013. There are instructions on the video if you haven't worshipped this way before. This is particularly for those who are unable to get out to a church service but obviously anyone else can join in too! Play the video to interact with our 30 minute service. Play the video to see the most famous verse in the Bible clearly explained! We continue looking at the 7 O Antiphons used by some parts of the church in their Christmas worship. Each of them addresses Jesus Christ using a Messianic title drawn from Old Testament prophecy. God with us, our King and Law-giver, desired of the nations and their salvation, you came to save us, Lord our God. Isaiah 7:13-14 - Isaiah said, “Listen well, you royal family of David! Isn’t it enough to exhaust human patience? Must you exhaust the patience of my God as well? All right then, the Lord himself will give you the sign. Look! The virgin will conceive a child! She will give birth to a son and will call him Immanuel (which means ‘God is with us’). Matthew 1:23 - ‘The virgin will conceive and give birth to a son, and they will call him Immanuel’ (which means ‘God with us’). King of the Nations for whom they long, the corner-stone who makes of both one, you came and delivered humanity whom you made from clay. Isaiah 2:4 - He will judge between the nations and will settle disputes for many peoples. They will beat their swords into ploughshares and their spears into pruning hooks. Nation will not take up sword against nation, nor will they train for war any more. Isaiah 9:7 - Of the greatness of his government and peace there will be no end. He will reign on David’s throne and over his kingdom, establishing and upholding it with justice and righteousness from that time on and for ever. The zeal of the LORD Almighty will accomplish this. Isaiah 28:16 - Therefore, this is what the Sovereign Lord says: “Look! I am placing a foundation stone in Jerusalem, a firm and tested stone. It is a precious cornerstone that is safe to build on. Whoever believes need never be shaken. Ephesians 2:14-16 - For he himself is our peace, who has made the two groups one and has destroyed the barrier, the dividing wall of hostility, by setting aside in his flesh the law with its commands and regulations. His purpose was to create in himself one new humanity out of the two, thus making peace, and in one body to reconcile both of them to God through the cross, by which he put to death their hostility. Morning Star, splendour of eternal light and sun of justice, you came and illumined those seated in darkness and the shadow of death. Malachi 4:2 “But for you who fear my name, the Sun of Righteousness will rise with healing in his wings. And you will go free, leaping with joy like calves let out to pasture. Luke 1:8-10 - Once when Zechariah’s division was on duty and he was serving as priest before God, he was chosen by lot, according to the custom of the priesthood, to go into the temple of the Lord and burn incense. And when the time for the burning of incense came, all the assembled worshippers were praying outside. Hebrews 1:3 - The Son is the radiance of God’s glory and the exact representation of his being, sustaining all things by his powerful word. After he had provided purification for sins, he sat down at the right hand of the Majesty in heaven. Thanks for joining us here at Partakers! In some parts of the church, they use as part of their Christmas worship, these seven O antiphons. Each of them addresses Jesus Christ using a Messianic title drawn from Old Testament prophecy. Isaiah 9:6For a child is born to us, a son is given to us. The government will rest on his shoulders. And he will be called: Wonderful, Counselor, Mighty God, Everlasting Father, Prince of Peace. Isaiah 22:21-22 - I will give him the key to the house of David—the highest position in the royal court. When he opens doors, no one will be able to close them; when he closes doors, no one will be able to open them. Revelation 3:21-22 - Here I am! Jesus! I stand at the door and knock. If anyone hears my voice and opens the door, I will come in and eat with that person, and they with me. To the one who is victorious, I will give the right to sit with me on my throne, just as I was victorious and sat down with my Father on his throne. Today our Antiphon is Radix Jesse. Micah 5:1 - Now you are walled around with a wall; siege is laid against us; with a rod they strike the ruler of Israel upon the cheek. Revelation 22:16-17 - “It is I, Jesus, who sent my angel to you with this testimony for the churches. I am the root and the descendant of David, the bright morning star.” The Spirit and the bride say, “Come.” And let everyone who hears say, “Come.” And let everyone who is thirsty come. Let anyone who wishes take the water of life as a gift. In some parts of the church they use as part of their Christmas worship, these seven O antiphons. Each of them addresses Jesus Christ using a Messianic title drawn from Old Testament prophecy. Read backwards, the initials of each title in Latin form the words “Ero Cras” or "Tomorrow I come" – looking forward to the second coming of Jesus Christ. The day I obeyed Jesus! The countdown is on for Christmas 2013. Today we have a story told to me by Gloria Allen Reed. It is a sad story yet also full of wonder which happened around Christmas time! Play or download the mp3 to hear Gloria's rescuing story! Then why not make a comment to let her know what you think!! The day I saved Christmas for my family! The countdown is on for Christmas 2013. Today we have a story told to me by Gloria Allen Reed. It is one of her abiding Christmas memories entitled How I Saved Christmas.